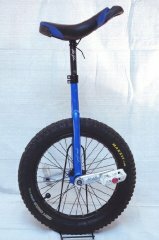 Unicycling is a fast growing sport, like cycling it covers a vast number of styles. 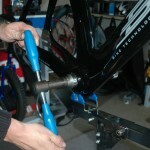 Just like cycling its broken up into sections in much the same way. We have Stunt unis that are designed to withstand the same types of abuse as a BMXer would put their bike through. 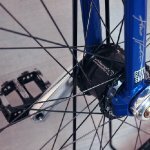 They use a smaller wheel size 19″ with a 47mm wide rim. 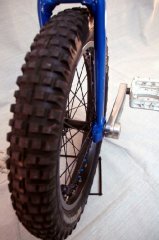 Most unicycles on the market today use a 47mm wide rim, this gives the wheel much better side impact tolerance and makes for a stronger wheel. Strength is very important in trials, stunt and mountain unicycling as the hopping action puts the uni under a great deal of stress. 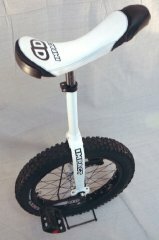 Trials unicycles also use the same sized wheel and in many cases the same style of frame is used, however a few boutique companies have designed unicycles specifically for that style of riding, such as Impact and Koxx-one. Trials riding uses obstacles to ride the uni over, whether it be man made structures such as walls, fences, bench tops; or rocks and fallen trees in parkland areas. The world around you can become a play ground, the only real obstacle is your skill level and imagination. 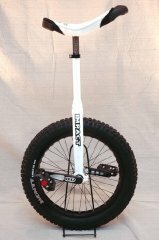 Flatland unicycling also uses the same wheel size and is a style not dissimilar to BMX flatland where a rider uses just the unicycle to perform an array of stunts on a flat surface like a car park or basketball court. All of these unicycles use a similar length crank arm, usually either 137mm or 140mm, this length is optimal for speed and balance providing the perfect amount of torque to hop and navigate obstacles. 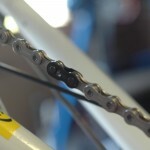 In flatland some riders use “rollo discs” they are small add-ons that attach to the end of the crank arm to increase the amount of footing available for crank rolling tricks. 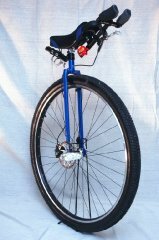 Mountain, Cross country and Free ride unicycling all use a larger wheel size from 24″-29″ although the 26″ seems to be the most commonly used. In my opinion Its the perfect blend of size and strength. 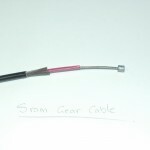 It is also very commonly used with a Schlumpf (although many people would argue the best wheel size). Then we come to road. 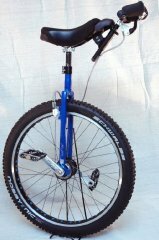 Road unicycles use a 36″ wheel and have greatly benefited from the creation of disc brakes, as the rim brake used to cause bad wheel rubbing issues due to the flex that the large wheel would suffer during take off or hill climbing. 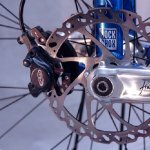 Another great innovation was the touring handle, It’s mounted to the under side of the saddle via an alloy tube with a locking collar to set length and a pivot to adjust the angle, an anti-flex plate is used to house the touring bar, keeping the complete unit rigid. 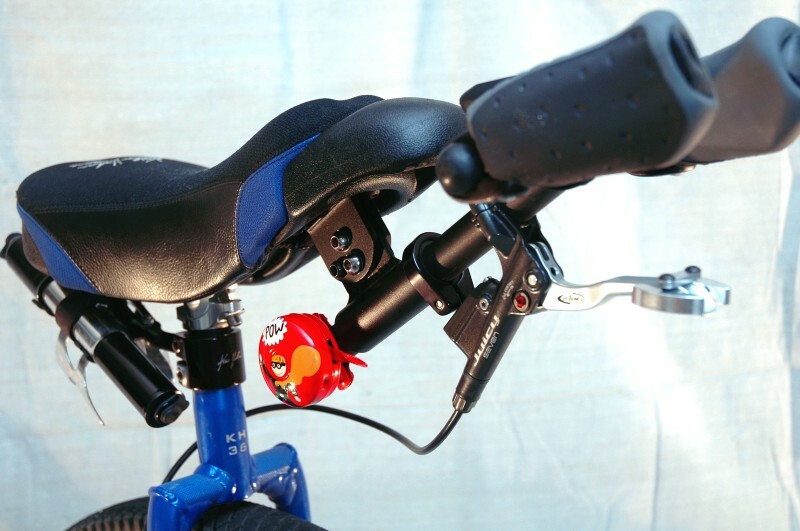 With a handle in place it means that the rider can hold onto it to relieve saddle pressure over longer rides. A handlebar can add stability to off road riding. All of my unicycles use them with the exception of my 19″ unis which have no real need for one. 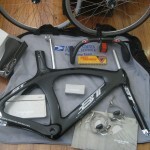 Saddles are very specific to the type of riding that you are doing. Most street, flatland and trials riders use a slim saddle, the bulky free ride saddles tend to be harder to grab during spin tricks, and it’s easier to hold while side hopping. The mountain free-ride group usually go for the free-ride style saddle which is much thicker with more foam for support, although road unis come with the free ride saddle as standard some road unicyclists like the slimmer saddle as it has a more road bike feel. The amount of modifications now available for unicycles is growing every day and the sport is also evolving very quickly. It is exciting being a unicyclist during this time as every time we go out we are learning, creating more and more innovations and different ways to ride them.